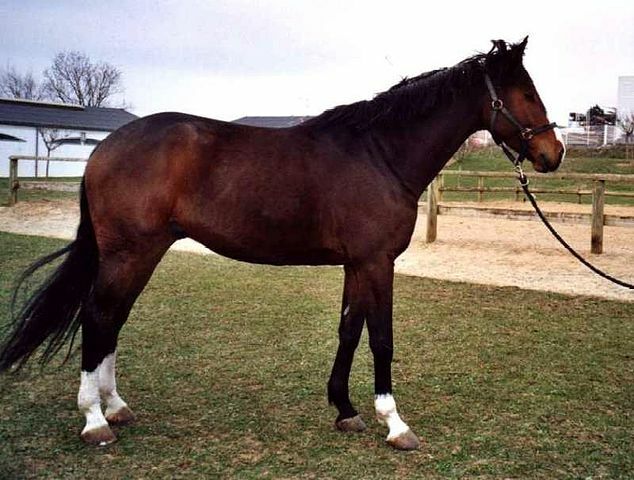 The Selle Francais is a sport horse of France created in the year 1958 when the merging of several breeds of French horses into a single stud book occurred. 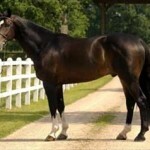 Being of an athletic stature along with a steady gait, it has gained immense popularity for achieving success in the field of show jumping as well as other sports like dressage and eventing. 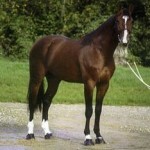 This French breed has been exported to other countries too, with stud books set up in the United States and Britain. 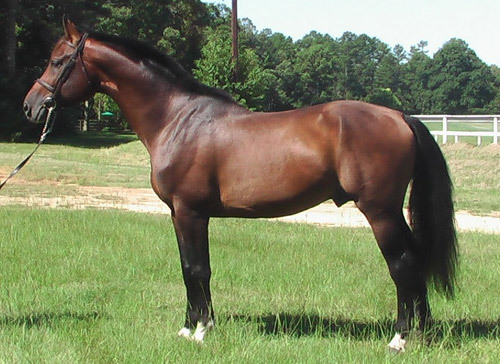 Physical Characteristics Athletic body, broad forehead, straight or convex facial profile, strong and long neck, straight back, elongated croup, deep chest, long and sloping shoulders, strong and muscular legs, wide joints, hard hooves, and powerful hindquarters. Colors Any solid colors, with chestnut being the common color. They are seen in other colors too like roan, bay and gray. Common Use Mainly a sport horse used for show jumping, dressage, eventing, endurance, polo, work, pleasure and trail riding, as well as on the race track. Health This breed is healthy and easy to care, having no known breed-related issues. However, care should be taken to prevent the exploitation of their hardiness. When jumping more than three feet in height leg protection must be given to prevent sprints or tendon injuries. Gaited Well-balanced, harmonious and powerful gaits. The Selle Francais, a popular saddle horse of French origin, possesses a long history, being a result of mixing many diverse breeds. During the 19th century, the native mares were crossed with Thoroughbreds or the Norfolk stallions. In fact, the mares used for the military purpose or for pulling carriages were mostly crossed with the Thoroughbred horses. 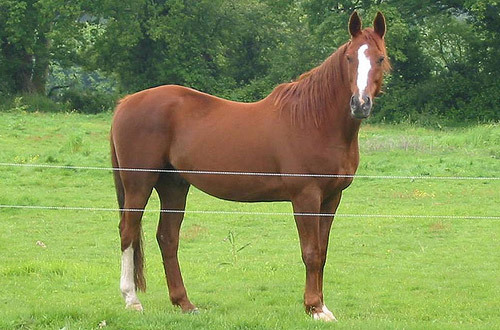 These breeds produced from crossbreeding were categorized as half-blood horses (demi-sang), mainly found in France, named after the regions they were bred. The creation of the Selle-Francais occurred in 1958 by merging the regional half-blood equine breeds (which comprised of the Anglo-Norman, the Vendeen, and the Charolais) under a single name. The motive was to create a sports horse that could cater to the needs of the machine-dominated society where the utility of horses were confined to pleasure riding and sports. The first horses of this breed displayed genetic diversity as the local horses were crossed with several breeds including the French Trotter, Anglo-Arabians, and Thoroughbreds, with those of the Norman origins dominating as the Anglo-Norman horses were widely used all over France. 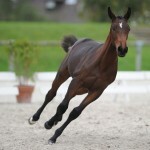 Since the time of the origination of this breed, it was primarily used as a sports horse. 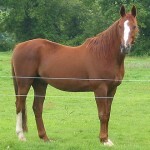 The National Association of French Saddle Horses (ANSF) attained approval as the association for this breed in July 2003. There were about 7722 farms where the breeding activities of the Selle Francais horses were carried out. They are responsible for the development of other European breeds like the Zangersheide, Holsteiner, and the Oldenburg warmblood horses. There are several branches of the ANSF worldwide carrying out the maintenance and registration of this breed. 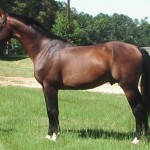 Equicours, an organization of the United Kingdom, contributed towards the introduction of a British stud book for this breed, while, in the United States, the stud book is managed by ANSF-US. The French studbook has agreements with Argentina, Brazil, and Morocco for registering the horses bred in their respective countries. To be registered, these horses must be born of registered Selle Francais parents or be a cross between a horse of this breed and a non-Selle Francais horse that has passed the selection procedures of the stud book. 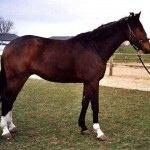 In fact, in 2003, the stud book had two divisions where one of them was for purebred Selle Francais foaled of two registered parents while the other one included breeds having one parent belonging to the Selle Francais breed. However, in 2009, these divisions were removed, with both of them merging into a single unit. The stallions are also required to go through a selection procedure where they will be judged on the basis of gaits, conformation and performance so that their descendants may qualify for the registration of the Selle Francais breed. 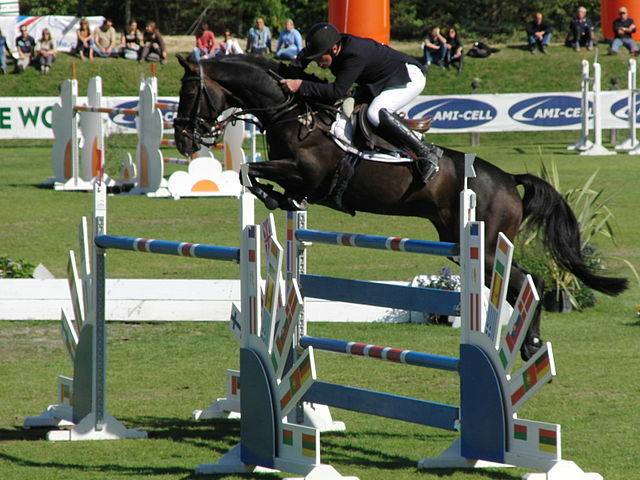 The Selle Francais horses along with their riders have won many medals at the Summer Olympics as well as the World Equestrian Games. 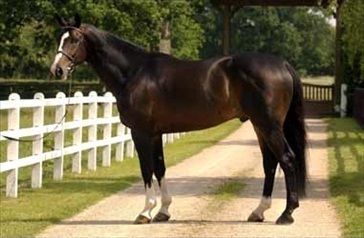 Baloubet du Rouet, a Selle Francais breed had won the World Cup in the category of show jumping three times in a row in the years 1998,1999 and 2000. Galoubet A, his sire was a part of the show jumping team that had won a gold medal in the World Championships held in the year 1982. 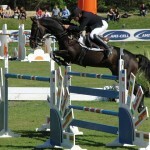 A 12-year-old Selle Francais, named Phedras De Blondel , also a competitor in the Grand Prix show jumping, was stolen from his stall and brutally butchered at a farm in Florida.